Stefan “Steff” Litjens was born on 13 October 1913 at Hasselt in Niederrhein. Following a pre-war fighter pilot’s training, he was posted to JG 53 in August 1937. At the outbreak of World War 2, Unteroffizier Litjens was serving with 4./JG 53. On 16 October, Litjens was sent to Wiesbaden as a flight instructor to assist with the formation of II./JG 53. He remained at Wiesbaden until 4 November. Litjens recorded two victories during the French campaign. During the Battle of Britain, Litjens recorded four victories. Over the Eastern front, Litjens was to be particularly successful. He shot down five Russian fighters on 25 August 1941. On 11 September, Litjens shot down two Russian SB-2 twin-engined bombers to record his 22nd and 23rd victories. Later that day, he engaged in aerial combat with Russian I-16 and I-18 fighters while escorting Ju 87 dive bombers in the Romanova area. 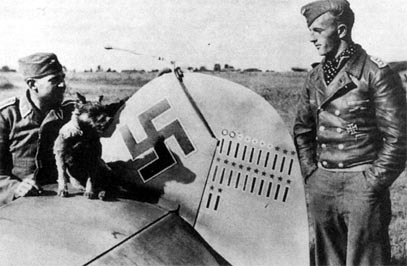 During the dogfight, his Bf 109 F-4 (W.Nr. 8408) was hit by return fire. He baled out of his stricken aircraft badly wounded landing in friendly territory. He was hospitalised at Riga but lost the sight from his right eye. Oberfeldwebel Litjens returned to 4./JG 53, now based in Sicily, in October 1942, despite his vision impairment. He flew missions over Malta before the unit was transferred to Tunisia. Here he claimed eight Allied aircraft shot down and flew many ground attack missions. Litjens was awarded the Ritterkreuz on 21 June 1943 for 32 victories. Following a lengthy period of leave, Litjens returned to 4./JG 53 on 17 November 1943.  The unit was now operating on Reichsverteidigung duties. On 22 February 1944, he shot down three USAAF B-17 four-engined bombers. He downed a further two B-17 bombers on 23 March. However, he was again shot down by return fire making an emergency landing in Bf 109 G-6 (W.Nr. 440 215) “White 5+” near Gifhorn. He suffered an injury to his left eye which precluded any further combat duty. He remained with the unit until the end of the war and never stopped trying to have the decision to refrain him from combat overturned. Stefan Litjens died on 25 February 2002 aged 88. 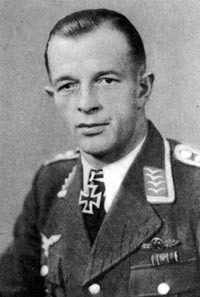 “Steff” Litjens was credited with 38 victories in 444 missions. He recorded 17 victories over the Eastern front. Of his 21 Western front victories, five were four-engined bombers. 15:55 Spitfire 4./JG 53 18km SW Mateur / Boston?